The White House should be extremely cautious in studying every single word in Congress’s spending bill, because even a single phrase could negate every authority President Donald Trump currently has under federal law to build and fund the border wall, even canceling his authority to declare a national border emergency. 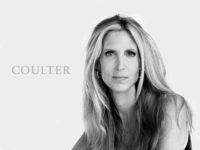 Coulter: Hey Commander! Start Commanding! It’s great that members of Congress have located specific legislative language permitting the president to build a border wall, but I’m wondering: Has anybody read the Constitution? 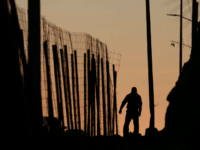 Federal law could not be more clear that President Donald Trump can declare a national emergency at the U.S.-Mexican border, and that such a declaration gives him access to all the funding he needs to build the wall. 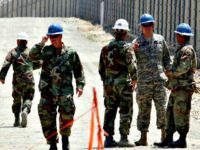 The Pentagon is preparing in case President Donald Trump orders the military to build the southern wall, according to a defense official. If you were elected president, and your central campaign promise — repeated every day — was to build a wall, wouldn’t you have spent the entirety of your transition period working on getting it done? In an interview published Friday, President Trump revealed he is mulling plans to use the military to build a wall on the U.S.-Mexico border. 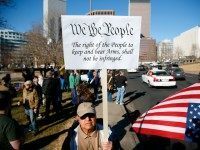 While rolling back onerous Obama-era environmental and business regulations, President Donald Trump has also been quietly dropping gun controls which were either put in place or at least prolonged by the Obama administration. 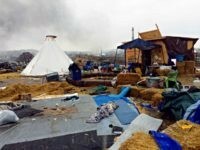 Federal officials hauled away more than 800 dumpsters full of garbage at the Dakota Access Pipeline (DAPL) protest campsites situated on federally-owned land in North Dakota. ASSOCIATED PRESS — The federal government won’t send 100 federal officers to help police protests against the Dakota Access oil pipeline in North Dakota as requested, drawing a sharp rebuke Wednesday by the county sheriff who wanted the help as well as the head of the National Sheriffs’ Association. 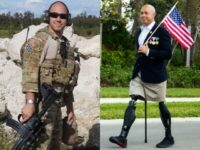 The former Army staff sergeant running for Congress after giving both his legs serving with Special Operations Command in Afghanistan described the top issue in his race for the Republican nomination for Congress from Florida’s 18th Congressional District. 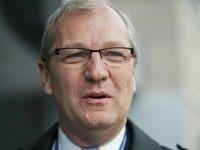 In an exclusive interview with Breitbart News, Rep. Kevin Cramer (R-ND) reacted to a recent injunction that blocked a new regulation that would have granted the federal government jurisdiction over some waterways across the United States. 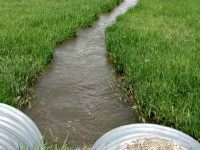 The U.S. House of Representatives passed the Energy and Water Appropriations Bill Friday morning to provide more than $35 billion dollars in federal funding for fiscal year 2016 for nuclear and environmental weapons activities, Army Corps of Engineers, and the Department of Energy.